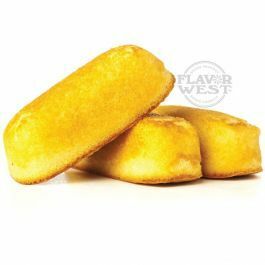 Enjoy creamy sponge cake flavor in all your desserts and baked tastes. You’re sure to have an unforgettable flavoring experience. Type: Creamy Sponge Cake water soluble flavoring. Ingredients: Natural and artificial flavoring, propylene glycol and alcohol. USP Kosher Grade Flavoring. Usage Rate:15-20% for E-use. Flavor Suitability: It’s suitable for cakes mixes, ice cream, muffins and cookies. Specific Gravity: 1.06 No Refunds on Flavoring.